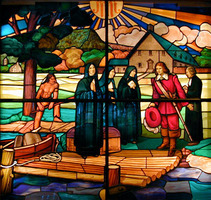 MORIN, MARIE, first Canadian nun, Hospitaller of St Joseph, superior of the Hôtel-Dieu of Montreal (1693–96, 1708–11), annalist; b. 19 March 1649 at Quebec; daughter of Noël Morin, seigneur of Saint-Luc, and of Hélène Desportes*, god-daughter of Louis d’Ailleboust* de Coulonge; d. and buried 8 April 1730 at Montreal. Marie Morin was one of a family of 12 children, the eldest of whom, Germain, whose godmother was the mother of the famous explorer Louis Jolliet*, became the first Canadian priest. 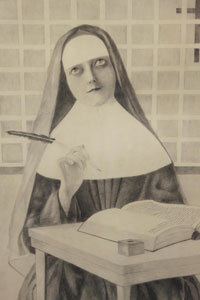 Marie Morin was educated at the convent of the Ursulines in Quebec. 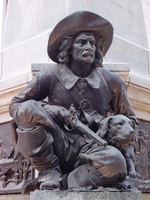 She was a boarder there when in 1659 the monastery welcomed, on their arrival from France, Jeanne Mance* and the first three Religious Hospitallers chosen by Jérôme Le Royer to found the Hôtel-Dieu of Ville-Marie. The meeting with these missionaries must have made a deep impression on the little girl. What is certain is that at the age of 11 she decided to enter the order of the Religious Hospitallers of Ville-Marie. Her parents were opposed to the idea, stating that she could achieve her object just as well by joining the Hospitallers of St Augustin, who were established at Quebec. 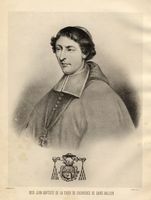 The young girl pleaded her case so well that after two years’ resistance she obtained the authorization of Bishop Laval, although he disapproved of the founding of a new community of Hospitallers at Montreal. At the age of 13, Marie Morin therefore entered the noviciate of the Religious Hospitallers of Ville-Marie. When she pronounced her solemn vows on 27 Oct. 1671, Sister Morin became the first Canadian-born cloistered nun in Montreal. Her talents as a business woman were soon recognized, since in 1672 she was appointed depositary. She was to be appointed to this office again in 1676, 1681, 1689, and 1696. Sister Morin explained this appointment modestly: she knew the country better than the Frenchwomen who were her companions, and she could obtain materials of better quality and more cheaply. In 1693 she became the first Canadian superior of the Hôtel-Dieu of Montreal. She was to be elected superior again in 1708. By these titles and functions, Sister Morin was intimately connected with the expansion of the Hôtel-Dieu, begun in 1689. She experienced the incredible worries involved in the construction of an edifice 200 feet long by 31 wide, 3 storeys high, and with 2 pavilions each 25 feet by 31 added to it in the form of a T. The new hospital was blessed on 21 Nov. 1694, and on Thursday 24 Feb. 1695, three months after its opening, it was destroyed by fire from top to bottom. Marie Morin was the superior at that time, and the following year she was appointed depositary to look after the rebuilding. It was at this period of her life, in 1697 to be precise, that she began to write the annals of the Hôtel-Dieu, and she continued to do so until 1725. She died on 8 April 1730 as a result of a long illness. In the preface she apologizes for all her faults of style, for at that time she was the depositary and had to see to the expenses and construction work connected with the house: “The carpenters, masons, stone-cutters, and joiners needed to speak to me often, and that distracted me from my subject and caused me to make untimely repetitions and cut too short an account I had already begun. . . .” Then she reviewed the nuns of the Hôtel-Dieu of Montreal, first the founders, who had come from France, then the Canadian nuns. She outlined the sometimes picturesque circumstances of their entry into religion, since some came in “by night” to escape their parents’ opposition. The preface ends with a description of Montreal Island. Sister Morin then divided her narrative into 46 chapters of unequal length to which she gave titles describing the contents. In these pages is a detailed account of the founding of the community of Religious Hospitallers of St Joseph in France and of the Hôtel-Dieu of Montreal; biographers of Jérôme Le Royer de La Dauversière, Paul Chomedey* de Maisonneuve, and Jeanne Mance can draw abundant material from it, although it must be borne in mind that a concern for moral edification shapes Sister Morin’s judgements on people and events. 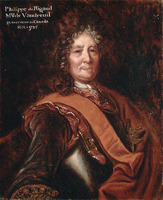 To these pages, which have been published by the Société historique de Montréal, are added 108 more, in which Marie Morin recounts the fire of 1695, that of 1721, the siege of Quebec in 1690, and the wreck of Sir Hovenden Walker’s fleet at Île-aux-Oeufs in 1711. In the writings of the annalist occurs also the story of the pecuniary worries of the depositary, and there is interesting information on the financial resources available to the Religious Hospitallers of the Hôtel-Dieu of Montreal. Marie Morin devoted the last 25 pages of her Annales to an account of the second fire, which destroyed the Hôtel-Dieu in 1721. She was 72 years old at that time, and with her companions she experienced the distress of seeing the survival of their work endangered for lack of financial resources. Finally, on 11 Nov. 1724, thanks to a substantial gift of 5,000 livres made by Bishop Saint-Vallier, to the generosity of the Sulpician seminary in Paris, and to the initiative of Louis Normant* Du Faradon, the nuns’ chaplain, who undertook “a collection which lasted a week” and with which “he seemed quite pleased,” the Hôtel-Dieu was again able to open its doors. The Annales – a manuscript saved from all the fires that devastated the Hôtel-Dieu – constitute today, by their authenticity and interest, a very precious treasure for the history of Montreal and of Canada. Through these pages, we rediscover the remarkable personality of Sister Morin, a type of heroic woman produced by the early days of New France. AHDM, Annales de sœur Véronique Cuillerie, 1725–1747; Lettre de sœur Morin aux sœurs de France relatant le tremblement de terre de 1663; Marie Morin, Histoire simple et véritable de l’établissement des Religieuses Hospitalières de Saint-Joseph en l’Île de Montréal, dite à présent Ville-Marie, en Canada, de l’année 1659 . . . [this manuscript has been published under the title Annales de l’Hôtel-Dieu de Montréal, éd. 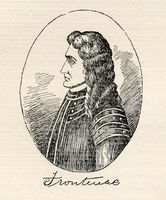 A. Fauteux, É.-Z. Massicotte et C. Bertrand (Société historique de Montréal, Mémoires, XII, 1921)]. Bibliothèque municipale de Montréal, Fonds Gagnon, Lettres autographes de Sœur Morin à Monsieur de Villeray, 23 sept. 1693. Mandements des évêques de Québec (Têtu et Gagnon), I. Esther Lefebvre, Marie Morin, premier historien canadien de Villemarie (Montréal, Paris, 1959). Mondoux, L’Hôtel-Dieu de Montréal. É.-Z. Massicotte, “Le premier écrivain né en Canada,” BRH, XXXVII (1931), 202. Léo Pariseau, “Pages inédites du premier écrivain canadien,” Le Journal de l’Hôtel-Dieu de Montréal, 1937. Hélène Bernier, “MORIN, MARIE,” in Dictionary of Canadian Biography, vol. 2, University of Toronto/Université Laval, 2003–, accessed April 18, 2019, http://www.biographi.ca/en/bio/morin_marie_2E.html.